The best things come together in pairs, it's just a fact of life. Peace and Love, burgers and fries, peanut butter and jelly, beer and pizza.... all great pairs. Now add Mission and Haight to that list, two new CeX stores, both now open in San Francisco. 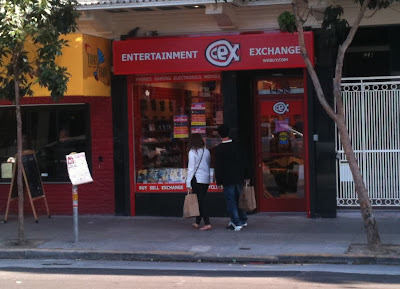 CeX 1439 Haight Street, between Masonic and Ashbury, San Francisco 94117 and the just opened CeX 2757 Mission Street, between 23rd and 24th (half a block from Mission 24th BART station), San Francisco are now both open. CeX 1439 Haight Street, SF. E3 Part 3 – Nintendo Press Conference.